A special experience in a unique place. 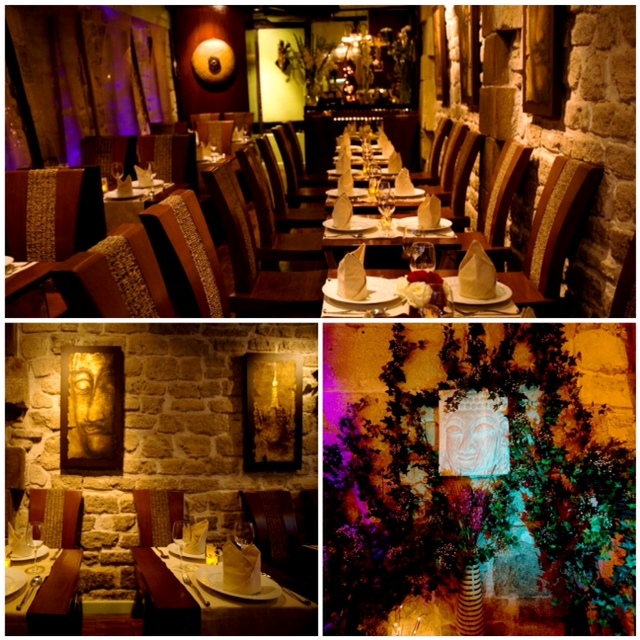 Tamarind would like to welcome you to this elegant and enchanting restaurant that blends the rustic charm of exposed stone with exotic Thai decor. Rocking gently to the sound of the fountain, you will experience a moment of well being, an escape wrapped in the sweet fragrance of jasmine. This amazing interior is the creation of two imaginative sisters. It is the fruit of their personality and the embodiment of their vision. Finally, Tamarind has been and is always proud to welcome through its doors, dignitaries from the Thai Embassy in Paris and members the Thai Royal Family , who have praised the restaurant for the authenticity and richness of its flavors. Often chosen to represent the Thai culinary arts at cultural events, Tamarind has established itself as the true standard bearer of Thai cuisine.